Traffic is a soul of every blog without having traffic, blog is nothing. We feel inspired to see our Blog getting more and more traffic also it improves our way of writing from simple to professional and also it improves the way we produce contents. With every little success we get in our blogging carrier make us strong and that lead us continue our journey as a Blogger. The first big question comes to every newbie’s (bloggers) mind is “how to get quality traffic to your blog”. There are lot other ways to get traffic to your blog but how does we get quality traffic is still a big question for us. Few gets disappointed at few moments when they didn’t get traffic, it also becomes the first reason for them to quite blogging. In my blogging experience I found that, the best way to drive quality traffic to your blog is social community. It is the only way for bloggers to get quality traffic for their blogs. After a long search I found these points in which a blogger can support each other and the hope for traffic gets fulfilled. Avatar: Take it as seriously it’s not only a picture but a way to make you visible for others to notice. Make sure you placed an attractive display picture as your avatar. Try not to change it on regular basis. Make Friends Online: I’m not asking you to start a full day conversation with an unknown person over messengers like yahoo messenger, Google Talk, etc. I’m asking to join directories like indiblogger and submit your articles for others to read and promote, there you get chance to make friends by participating on forums. Find people having similar niche blog, promote their articles, post review for their blog and follow them, make a business conversation. You’re going in a right way, do not stop here or you missed the aspect of supporting your fellow bloggers and therefore you missing their support for you. Comment on Blogs: One of the easiest and proved ways of getting quality traffic is to make comment over your niche blogs. Try to find your niche blog via directories and make comments on them, on a regular basis. Do not promote yourself in comments, try to tell them how you like or dislike their blog post. This will also help you make friends. 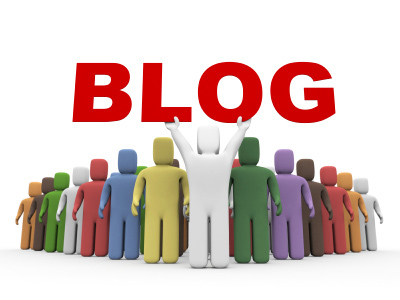 Also, if you comment on do follow blogs of you niche you’ll a free backlink. Submit Your Story/Share: Register yourself with Digg, Y-buzz and facebook and submit + share your story immediately after publishing article on your blog. This will improve both traffic and backlinks. Tweet and Stumple: If you do not have twitter account you should create one. If you have Stumbleupon account, that’s a plus. Promote Blog post of your friends by posting tweet, re-tweet. After commenting on their blog you can tweet that link too. Those help your friends to get more traffic and readers. And once you get the same in return with your friends then tell yourself you made a good friends and a long lasting blogging relationship. In that way you make a group of friends who support each other. And by doing this you get a way every blog of your group gets multiple promoters and get quality traffic. You made your own social network in which tons of friends around the world will make you feel proud. And this will make you more and more traffic.